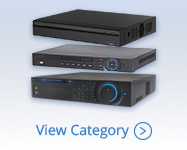 Choose one of our low cost HD-over-Coax DVRs for your new security system. Upgrade existing Analog system or install new using the same coax cable infrastructure. Get true 720P or 1080P video surveillance. 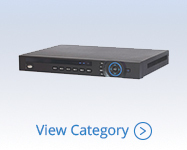 8 channel HD-CVI DVRs for up to 8 HD-CVI / HD-over-Coax cameras. Get true HD surveillance by pairing up to 16 720P or 1080P HD-over-Coax (HD-CVI) cameras with one of our 16 channel HD DVRs. 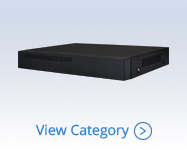 Get a pre-built HD-CVI weatherproof DVR system for up to 16 cameras. 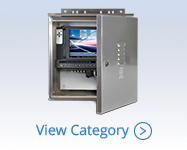 This outdoor weatherproof DVR enclosure is composed of a NEMA3 rated enclosure constructed of 5052 marine grade aluminum, sun shade, mounting brackets, 4/8/16 channel HD DVR and lock. 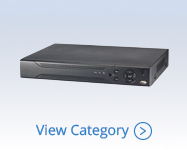 Upgrade to HD using the same coax as your out-dated Analog system with any of our HD-over-Coax DVRs from DSC. Pair with any HD-over-Coax camera for a 720P or 1080P security system. Ideal for residential, commercial, multi-family & government installation.